Despite recent predictions of >13 million cancer deaths in 2030, as discussed in this Perspective, we foresee that within this timeframe tumor-specific medicine will become a reality, thanks to a new generation of cancer network biologists who will hopefully overcome these challenges, positively contributing to the battle against this devastating disease and the significant reduction of patient suffering. 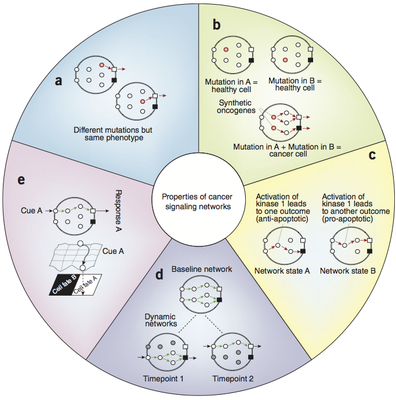 Perspective in Nature Biotechnology - Creixell et al. 2012.